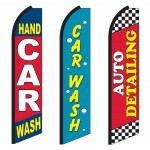 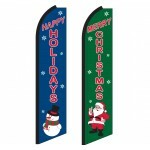 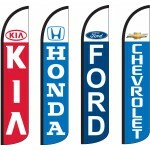 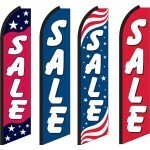 Feather flags are a great way to draw attention to your business. 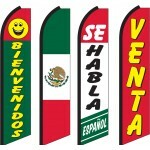 Our feature flags are constructed of high quality knitted polyester material and are screen printed with vibrant inks. 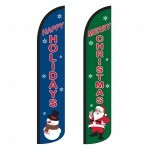 These feather flags are 11.5 ft tall and once placed on a flagpole stand about 15 ft tall. 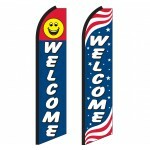 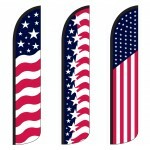 The large size, bold colors, and fluttering motion of these flags is sure to attract the attention of prospective customers. 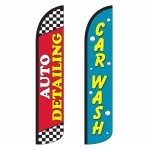 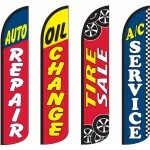 In our competitive marketplace, companies must seek out ways to stay ahead of the competition; Our feather flags are a cost-effective way to reach new customers who are passing by your business. 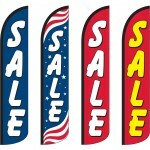 We are the designer and direct importer of this product line and offer one of the largest inventories of Feather Flags in the United States, with hundreds of in-stock designs at our Warminster, PA location ready for immediate shipment. All of our feather flags are finished with a durable black sleeve and black rope which hides dirt and keeps the flags looking great for a longer time than the competition. 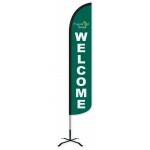 Our stock feather flags start at just $19.95 making them one of the most cost-effective and eye-catching advertising methods for your company. 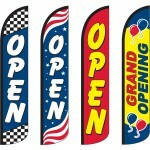 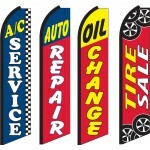 We recommend displaying multiple feather flags across the front of your business for maximum impact. 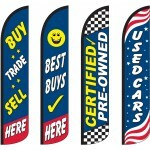 We custom print our Wind-Free (Windless) and Swooper Feather Flags in the United States, so turnaround is just 2-3 business day plus shipping time after your proof is approved. 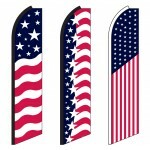 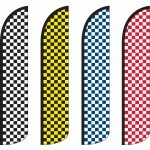 These flags are digitally printed on knitted polyester material with a heavy-duty black oxford sleeve. 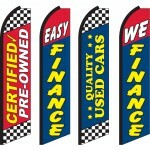 Our Feather flags are perfect for trade shows, soccer teams, ski resorts, or any type of business looking to create a dynamic display. 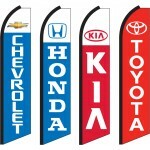 We use only the finest Japanese inks and the highest quality polyester fabrics on our custom imprinted feather flags. 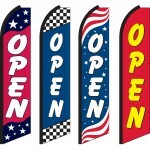 We stock the finest quality Swooper Flagpoles, Wind-Free (Windless) Flagpoles, Ground Spikes, and Tire Bases. 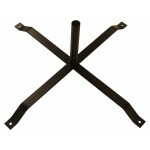 We strive to offer the heaviest, most durable hardware on the market. 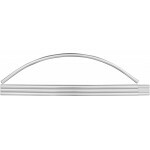 All of hardware is manufactured to our strict standards to outlast the competition. 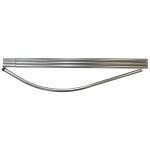 For example, our feather flagpoles are the same guage from the top section to the bottom section for maximum durability. 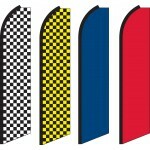 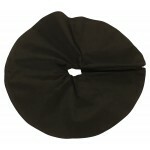 Compeare this to our competitiors who often skimp by making the sections thinner as they approach the top of the pole. 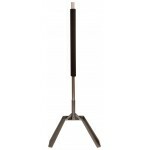 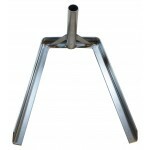 All of our steel bases are made with heavy gauge steel and all of the joints are fully welded for maximum durability. 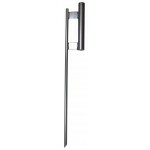 FInally, our steel bases are finished with a durable powder-coating and our aluminum flag poles are coated with an anodized finish. 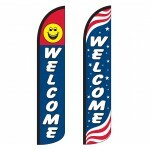 Compare our feather flag hardware and you will find that we offer the highest quality feather flag poles and bases on the market.